Hello Folks! We are wrapping up the week with another wonderful interview from a truly amazing actor who happens to be a star in one of the finest television programs available today known as the Starz Original Series American Gods. He is also a master of the world of film and stage and is just an overall delightful person who we are so happy to have grace our digital pages today. It’s Chris Obi, Everyone. We were so fortunate to be able to steal some time away from the man who has brought characters like Anibus in American Gods and T’Kuvma from Star Trek: Discovery to the world, for him to tell us about these projects and more. Obi is one of the finest actors working today and has been astounding in everything he has done to date and is only moving up the proverbial ladder. And we are so excited to share some words from this acting mastermind with you all today. So Folks please enjoy some wonderful words from the great Chris Obi! What drew you into the world of acting? Was it a life long passion you have had, or did you just find yourself in this world one day? Actors like Yul Brynner and Steve McQueen really excited me about acting and films like The Godfather and ‘Taps’ got me into the world of film making. I never really considered being an actor as a kid. I always saw it as something ‘those types’ did. I did a play when I was 14 and that was the first time I got that rush as a performer. I absolutely loved your performance in the first season of American Gods. What was it about the story of this film that drew you in? What compelled you to become involved in this project, and the character of Anubis specifically? I loved the fact “Anubis’ is a historical deity, thus it made me connect to something that was real/tangible to play. Bryan Fuller was my main inspiration whilst working on the 1st Season. He is a brilliant man and was so complimentary about my work that I was inspired to achieve levels that I may had not if I’d worked with someone else. Actors often talk about a transformation when playing certain roles, I definitely felt a shift from my everyday person whilst portraying ‘Anubis’. We have spoken with a lot of folks from the different worlds of Star Trek over the years, and in 2017 you became a part of that world as well playing T’Kuvma on Discovery. What was it like to jump into this legendary world? And what was it like to be in the costume and make up? How long did it take you to get made up for this character? It was Bryan Fuller who asked me to play ‘T’Kuvma’ and by this time I was enthralled by his genius, that I would of played any character, in any show he offered me. I was not a ‘Trekker’ so I was not totally aware of the enormity of the responsibility of playing such an iconic character. Once I stepped on set and first saw the Sarcophagus, I was truly overwhelmed and then the fans started getting in touch and they were so supportive and excited. You can’t helped but be blown away by the legend that is and that will be ‘Star Trek’. I loved wearing ‘T’Kuvma’s’ costume designed by the incredible Gersha Philips. It immediately gave you the feeling of being Regal. The incredible prosthetics led by Glenn Hetrick and Neville Page and their wonderful team of artists took two and a half hours daily! I loved it. The Star Trek franchise has one of the most loyal fan bases in history. So, I am curious to know what your fan interaction with the Trekkies since you made your appearance on their beloved program? I simply love the ‘Trekkers’ and I had empathy those who weren’t first blown away by the Klingon look because they were passionate and cared about ‘Star Trek’. I have not been to a ‘Star Trek’ convention yet but surely look forward to attending one in the future. If your were handed the opportunity to portray any famous figure in world history, at any time period, who would it be? Hard to chose between Jesus Christ and Michael Jackson. Jesus, because he had this air of ‘knowing’ and ‘acceptance’ and Michael, because his whole frame was filled with incredible talent. I’d like to channel Jesus’ and Michael’s talents. 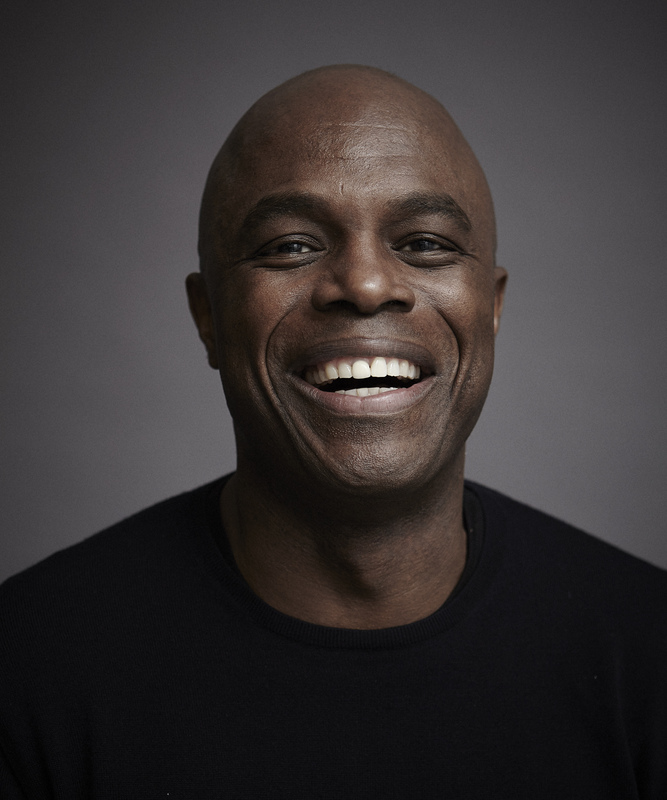 When you are not on set, where would a random encounter with Chris Obi likely occur? Basically, when you’re not working, what do you do for a bit of “me time”? I was born and live in Notting Hill in London and I love my neighbourhood so I can be found on her streets. Also, i just started a new yogi group linked to a practice called ‘Satori’ which is Japanese and translate as ‘an awakening’. I have just shot two episodes of Strike Back for Cinemax/Sky and I have two animation projects coming out soon; 3 Below created by Guillermo Del Toro and his incredible TrollHunter team and a movie called Watch the Skies directed by the wonderful Mark Byers. I am also writing a feature film called The Chaperone which I am so excited about. Looking at my girlfriend’s son’s pretty eight year old face!